We use agile framework and deliver features phase by phase. And also we used Design Sprints to know what you need, and Scrum to create what you want. Design sprints are a framework for teams of any size to solve and test design problems in 2-5 days. It’s a technique to quickly solve product design problems and test the viability of a solution. Tiket.com is the first and the most comprehensive online travel agent in Indonesia. It provides an easy way for user to book flights, hotels, trains, concerts, and events. It also has safe payment on transaction and a reward system. 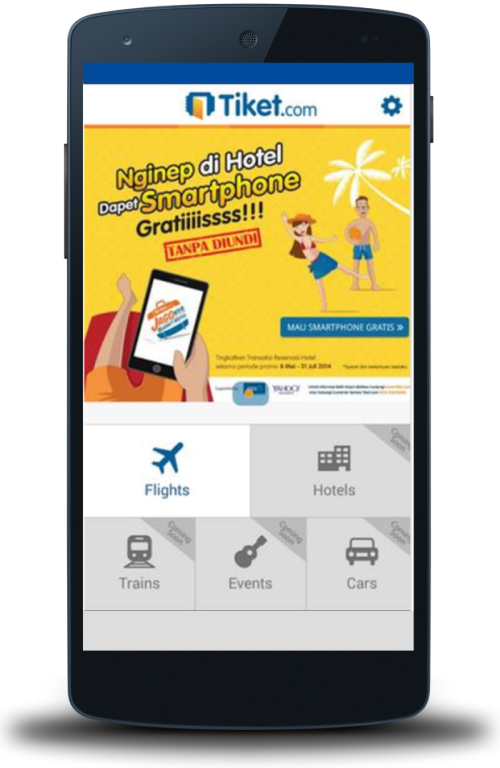 Gawe.id is one of the mobile apps on Android and iOS that we have made. An easy to use job portal where high school graduates can meet their future job and company. 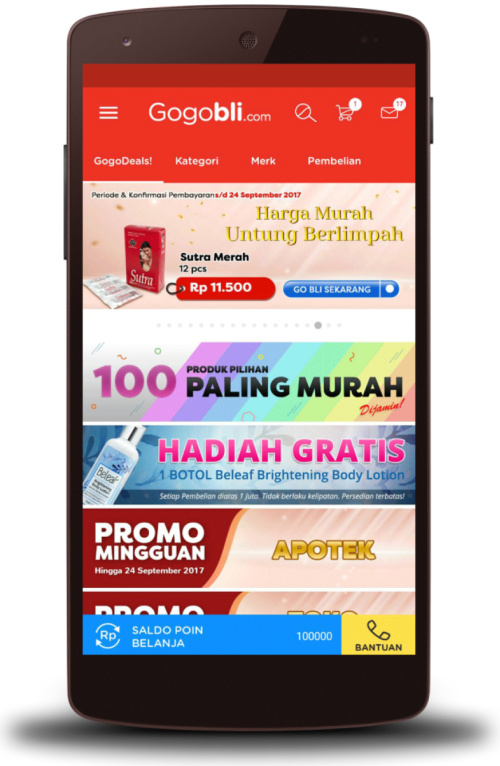 Gogobli Outlet Apps is a B2B e-commerce on Android and iOS. It enables drugstores from wide area of Indonesia to buy medicines from Gogobli’s warehouse with cheaper price. We have worked with various types of clients, from start-up enterprise until multinational company. We help them to provide the best mobile and web software or applications that suit their needs to support their business. Their trust helps us grow bigger from time to time. We are proud to announce that GITS Indonesia is one of Google Certified Agencies. Our objectives are to develop apps for good, to empower people, to increase productivity, and to ease your daily life. We have knowledgeable people work with us to design, create, and develop your ideas into something that matched your needs. We have expertise in Android TV, Assistant, Google Cloud Platform, Firebase, Machine Learning/AI, PWA/AMP. Our team practice agile methodologies while developing the project or products to make them more dynamic and development time more efficient.